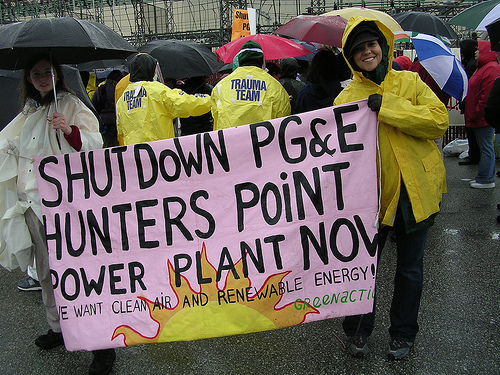 GreenAction, Bayview-Hunters Point residents, Gray Panthers, and other groups braved a huge rainstorm to demand PG&E close their 70-year-old Hunters Point Power Plant that has caused an epidemic of asthma and other diseases, particularly among children. 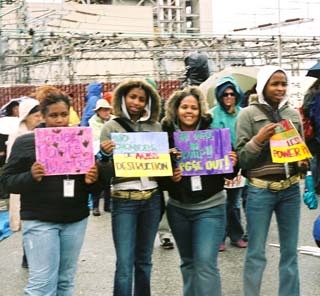 The City drove out 25% of its black population in 10 years with toxic waste, diesel particulates, exposed raw sewage, shipyard radiation, unemployment, and police brutality. 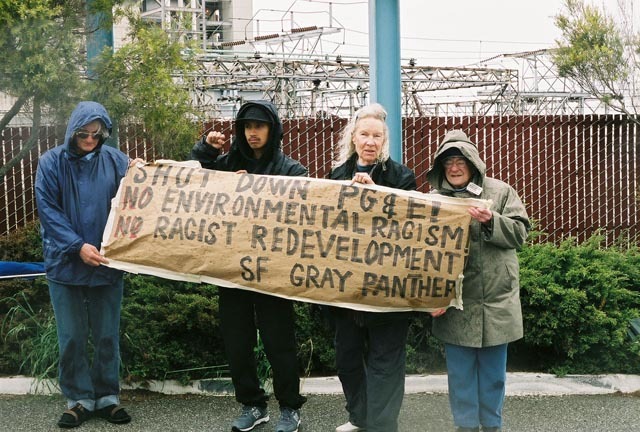 Now it is fast-tracking a 30+ year redevelopment plan to gentrify SE San Francisco with a 49ers stadium, shopping malls, and unaffordable condos. Who will be driven out next? 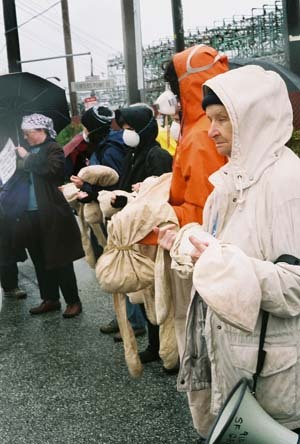 More information on this demonstraton and the background information. 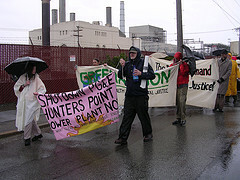 Read amd see pictures of the toxic history and current pollution of the former Naval Shipyard at Hunters Point. 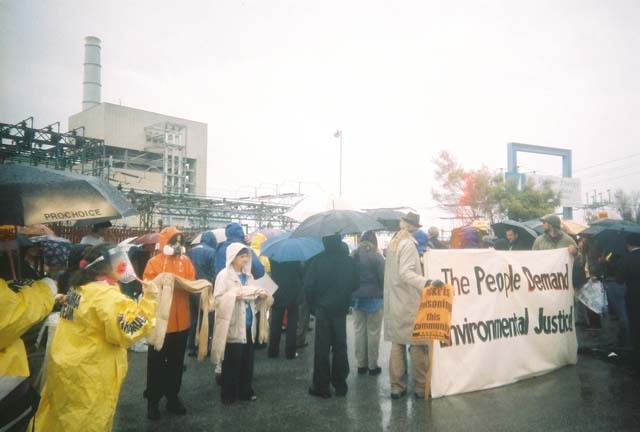 Speech by Dr. Ahimsa Sunchai, activist expert on toxics in SE San Francisco. QuickTime video by Bill Carpenter.